Synopsis: but it could be fun if they were! With the look of a blacked out British flag, the Black Union Jack design gives a nod to the MINI's history while supplementing a more modern feel. Black, white, and grey are classic colors, which makes black jack the perfect way to spice up the look of your MINI or even to give your street-legal go kart an overall theme. 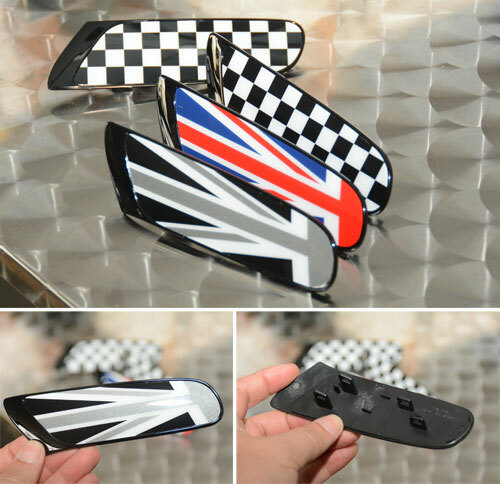 Use the 'search by model' navigation on the homepage to find the Black Union Jack design that's right for your MINI!